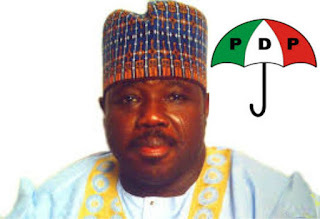 An Abuja High Court sitting at Apo, on Wednesday, sacked factional Chairman of the Peoples Democratic Party, PDP. The court, in a judgment by Justice Valantine Ashi, declared as “unconstitutional, null and void”, purported amendment of Article 47 Rule 6 of PDP Constitution, 2012, at a special National Convention the party held on Wednesday and Thursday, December 10 and 11, 2014. It voided the said amendment on the basis that there was no compliance with mandatory provisions of Article 66 (2) and (3) of the PDP constitution. “By reason of the above, the purported amendments introduced to the constitution on the aforesaid dates, are hereby set-aside. “All persons, individuals, servants or agents of PDP parading themselves as national officers of the PDP pursuant to the purported amendment which has now been nullified are hereby restrained from further parading themselves in these capacities “, Justice Ashi held. The judgment followed a suit marked FCT/HC/CV/1867/2016, which was lodged before the court by a chieftain of the PDP in Ondo state, Chief Joseph Jero. PDP was cited as the sole defendant in the matter. Meantime, lawyer that represented PDP in court, Mr. Okere Kingdom, said the party would appeal against the judgement, insisting that the court had no power to meddle into the domestic affair of a political party.